Inmates mistakenly released early from prison. If you believe that negligence on the part of the DOC has resulted in harm to you or a family member, it may be in your best interests to consult with an experienced personal injury lawyer. State government agencies typically employ several attorneys and consultants in-house to vigorously defend negligence claims, and having a qualified lawyer on your side may even the playing field for you and your family. For a free initial case evaluation, contact Davis Law Group today at (206) 727-4000. Attorney Chris Davis is one of the most respected and recognized civil litigation lawyers practicing in Washington State. Davis Law Group has been named Best Injury Law Firm in Washington State by AI Dispute Resolution Awards and has handled numerous cases against the Washington State Department of Corrections. The Washington State Department of Corrections (DOC) has a duty to make sure that those in their control and under their supervision do not present a danger to the general public. This includes insuring that a person who is about to be released is actually safe to be released back into society. When the failure of the Department of Corrections (DOC) to properly monitor, supervise, or manage inmates, parolees or their own personnel and staff results in serious harm, injury or death to an individual, the department needs to be held accountable. As a prominent personal injury lawyer with experience in handling claims against the DOC, attorney Chris Davis's opinion is often featured by local media covering DOC-related issues and incidents. In December 2015, it was revealed that as many as 3,200 prisoners were mistakenly released early from prison due to a miscalculation of the release date or some other administrative failure. When prisoners are released early it creates a serious public safety issue. Several of these early-released offenders have committed new crimes during a time when they should have been in custody. This includes the tragic death of 17-year-old Caesar Medina, who was killed by a prisoner who was mistakenly released by Department of Corrections officials. Those harmed by early-released prisoners or the family members of individuals who have been killed by prisoners that were prematurely release may have significant legal claims against the Washington State Department of Corrections. The state has announced that there are at least 21 prisoners who have been mistakenly released early and committed new crimes while they should have been incarcerated. When a person who is under supervision by the Washington State Department of Corrections (DOC) is not properly supervised and that individual then causes physical injury or the death of of another, the victim or their surviving family members may have a legal claim against the state. In numerous cases it has been found that the DOC has failed to follow statutory law regarding probation supervision and failed to follow its own directives requiring increased supervision due to clear evidence that there may be a serious community safety concern. 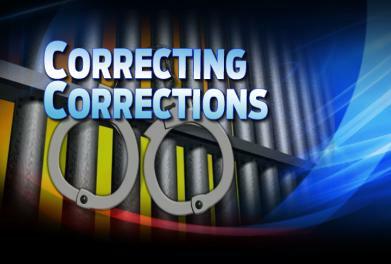 Pursuing a lawsuit against the Department of Corrections can be extremely complex for a variety of reasons. These types of cases may require the assistance of a personal injury attorney who has experience with personal injury claims against government agencies. Below are just a few of the many government injury cases that have been successfully resolved by Davis Law Group.